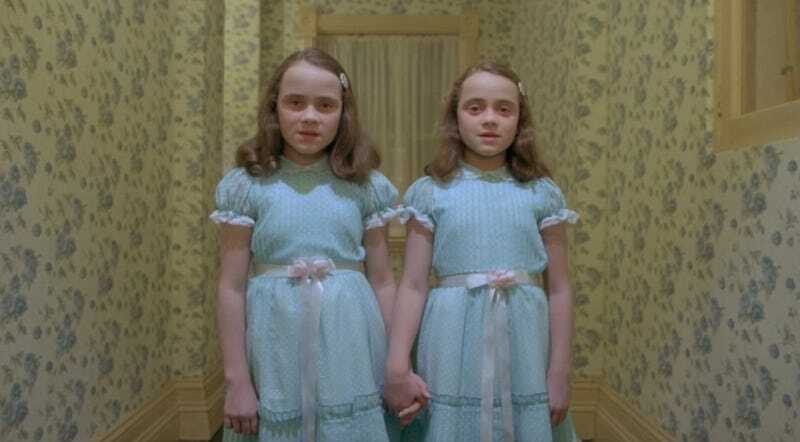 Their screen time in The Shining is quite brief, but the ghostly Grady twins instantly became one of the 1980 movie’s most iconic images. Former child actors Lisa and Leslie Burns are forever (and ever) linked with the classic Stanley Kubrick film, and they don’t seem to mind one bit. In a new interview with journalist Jamie Stangroom, the sisters dish on their experiences working with Kubrick and Jack Nicholson on one of the greatest horror movies ever made. They also have some very specific (and hilarious) feelings about the 1997 TV miniseries, famously scripted by source-material novelist Stephen King as a response to his dislike of Kubrick’s version. The twins are delightful and the only thing I don’t like about this interview is how short it is.